Port Aegiali is one of two ports on the island and the destination port for our lovely retreat. Aegiali's long and curved sandy beach, known as Giali, is great for swimming and offers traditional bars and tavernas. 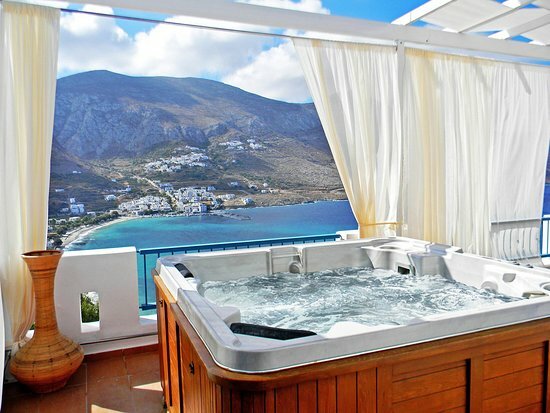 The only 5-star hotel on Amorgos, the Aegialis Hotel & Spa provides privacy, luxurious comfort and spectacular sea views from every room. 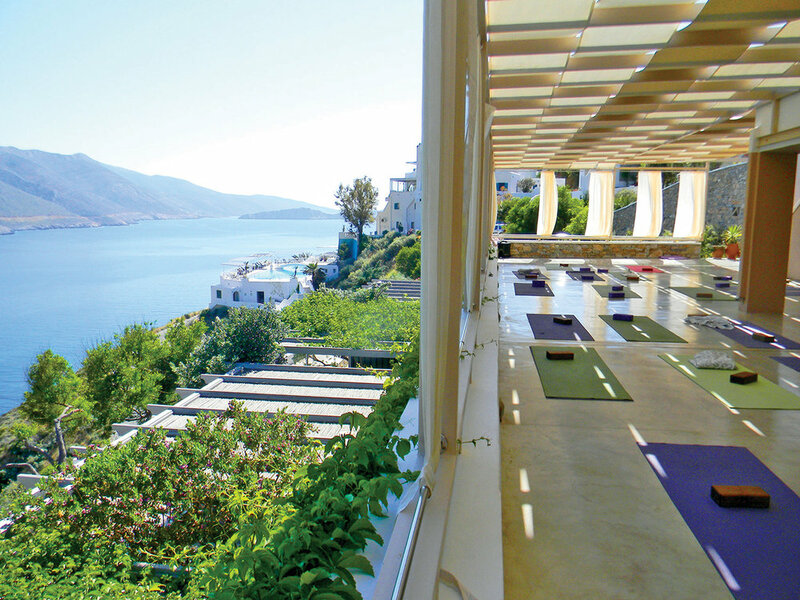 Our daily yoga and meditation practices are accompanied by the sound of water and the wafting sea breeze. Between the wonderful excursions and spa appointments there is time set aside during your 5 days stay to explore the island’s local village and colorful beaches. But, don’t be surprise, with a full-service spa, fantastic, azure pool, excellent food and warm & friendly staff staying right where you are might be all you need. Come Chill Out & Let Go! 5 nights accommodation in a Luxurious Superior room with private balcony and sea view. Herbal Tour to Discover the Healing Power and Ways to use Each Plant. In addition your choice of either a 40-minute Natural Amorgian Body Exfoliation or 30 minute Face and Scalp massage. 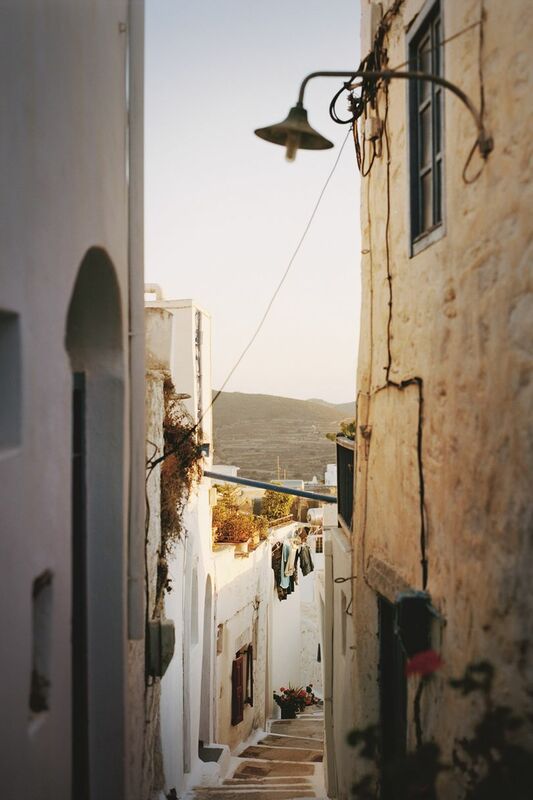 NOT INCLUDED IS AIRFARE AND GROUND TRANSPORTATION TO AMORGOS. TRAVEL INSURANCE RECOMMENDED BUT NOT INCLUDED. Don't Miss out on this 5-star Zenful Experience.